C's Butterfly Garden Mama Say What?! | Mama Say What?! My two-year-old loves butterflies. 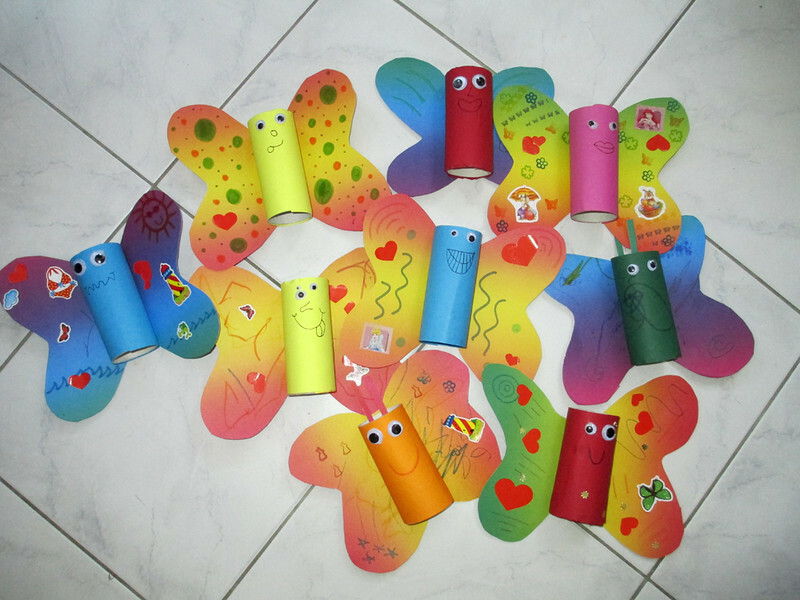 We’ve done lots of butterfly crafts, (check out this one we’ve already shared) but our favorite has to be the toilet paper roll butterflies we made this summer. 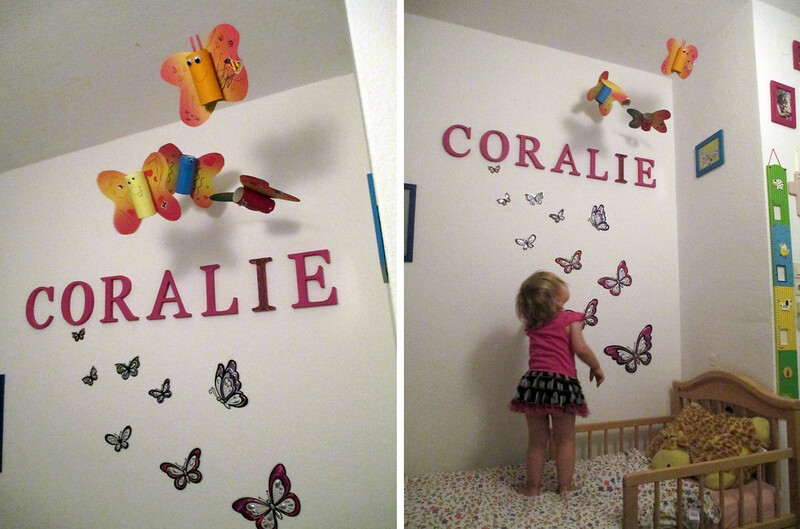 A few months ago, we made a bunch of these adorable butterflies, decorated them all, and then hung them in her room to create C’s Butterfly Garden. She adores it! And they turn out to be a great mobile for when her baby brother is lying on her bed— bonus! 1. 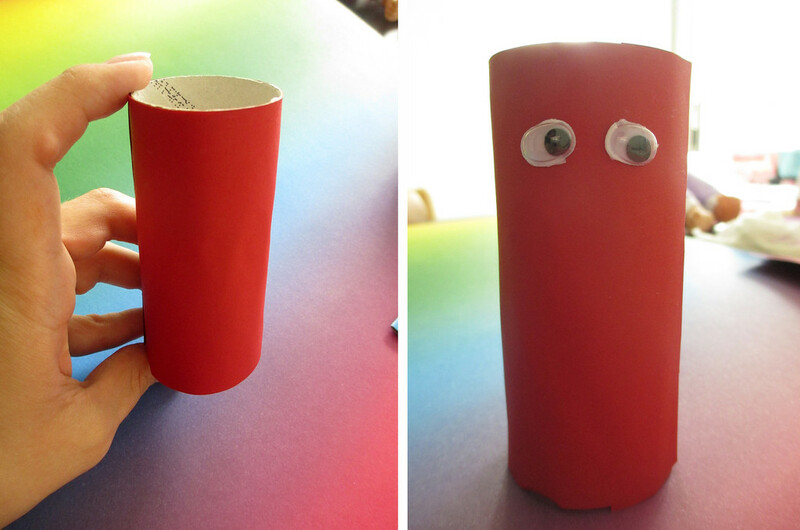 Place your toilet paper roll onto the construction paper and wrap it around the roll. Then cut a piece of the paper the same size as the roll. Glue the paper onto the roll. This is your butterfly’s body. 2. Glue on a pair of googly eyes! 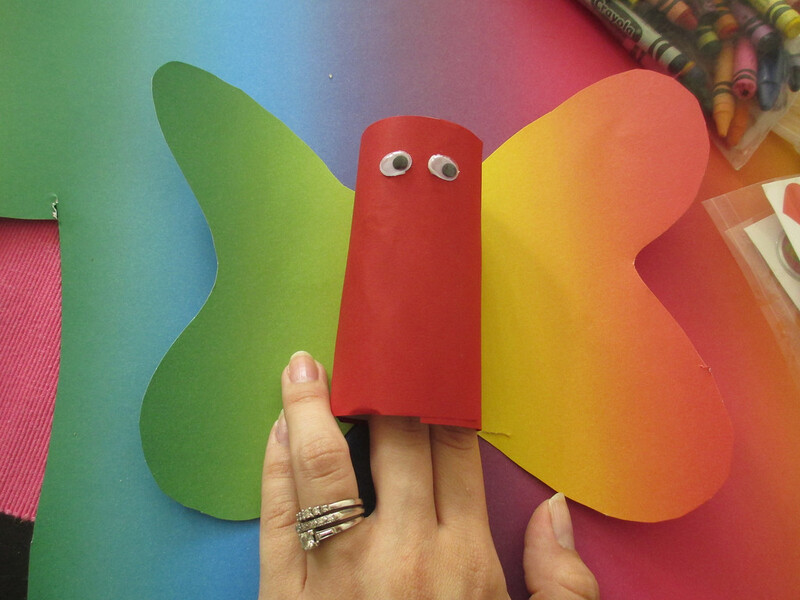 Let your child get creative— C made one butterfly with six eyes, and another couple of butterflies with different shape or size eyes! 3. 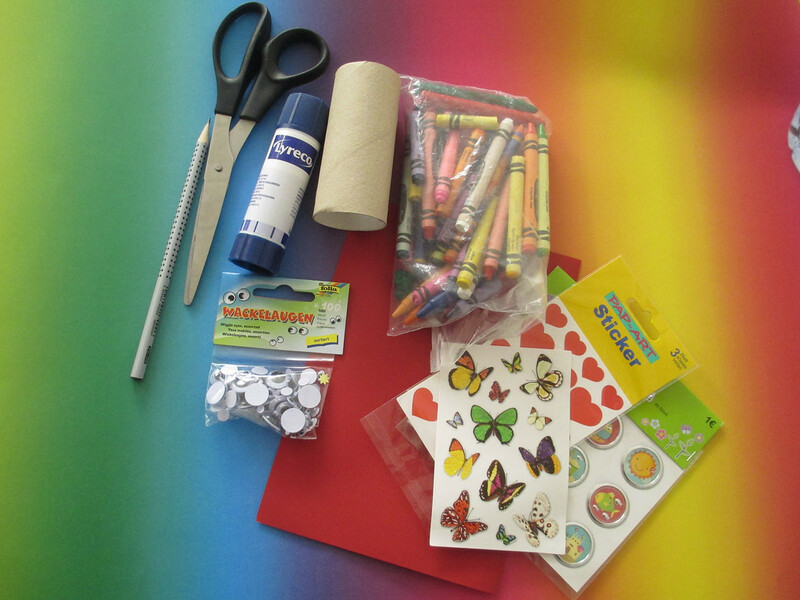 Place your butterfly body down on the poster paper or heavy card stock. Using a pencil, free-hand wings around the butterfly’s body. Cut out the wings in one piece and glue the body down in the center. 4. 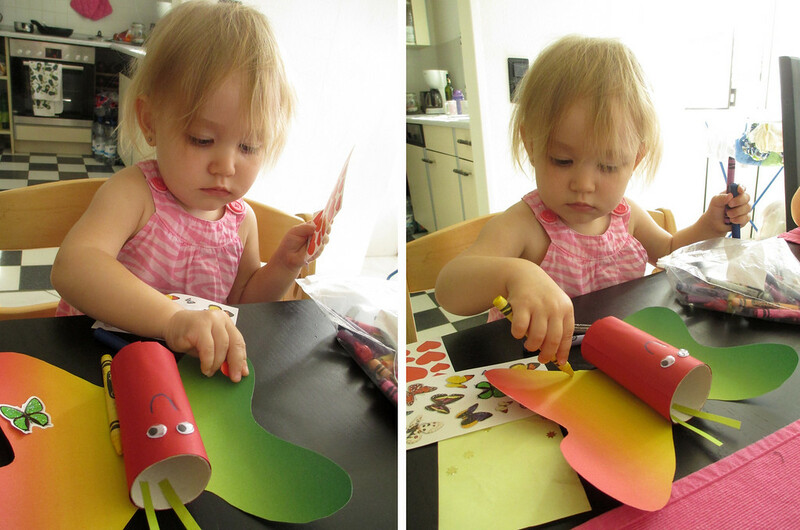 Cut out small strips of construction paper and glue them onto the top of the toilet paper roll to make antennae. 5. Give your butterfly to your little one and let him or her get creative with crayons, markers, stickers or whatever else they choose. You could use sequins, gemstones, feathers or even glitter! 6. When they’re all decorated and dried, glue or tape a piece of thick, clear string to the back of each butterfly. Depending on where you place the end of the string, the butterfly will ‘flutter’ a different direction! 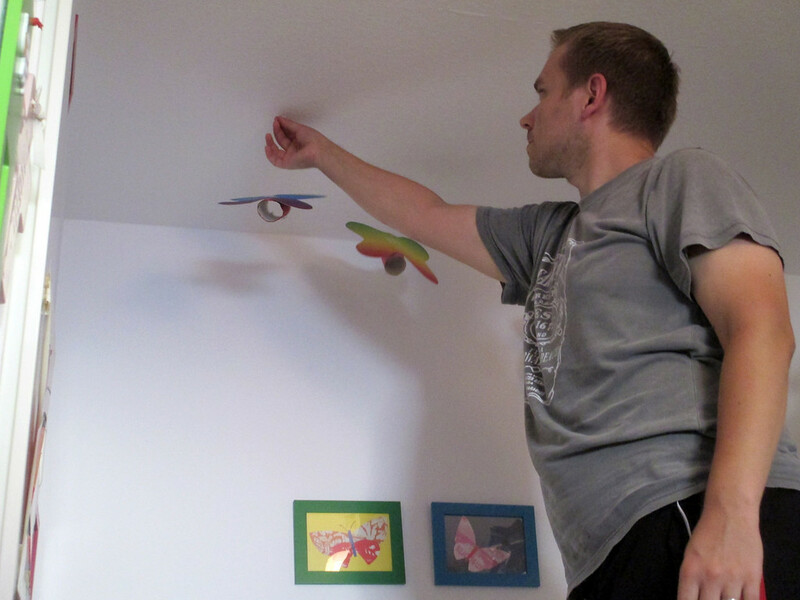 Wrap the string around a pushpin, and pin it into the ceiling. Voila! 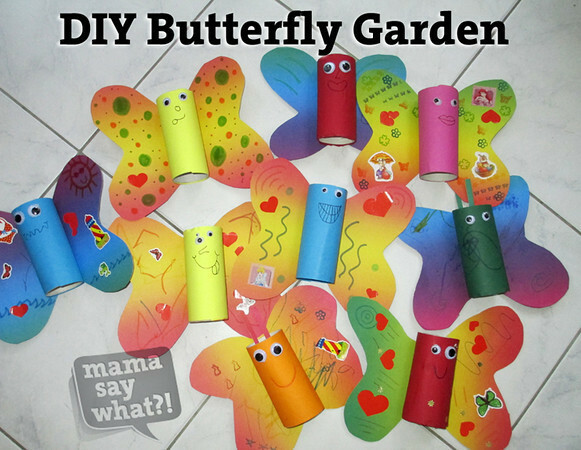 You’ve created your very own butterfly garden! Added by Cassie W. on December 7, 2013. What a fun craft for C! I love her butterfly garden! Absolutely adorable and perfect for C!